Want to Lose Weight? Check your Portion Sizes. The Dietary Guidelines encourage you to enjoy your food, but eat less and avoid oversized portions. We all know how tempting it is to finish your large sandwich, beverage, or large bagel. These oversized portions can contribute to weight gain. • Eat smaller portions – can you split a breakfast or dinner entrée? 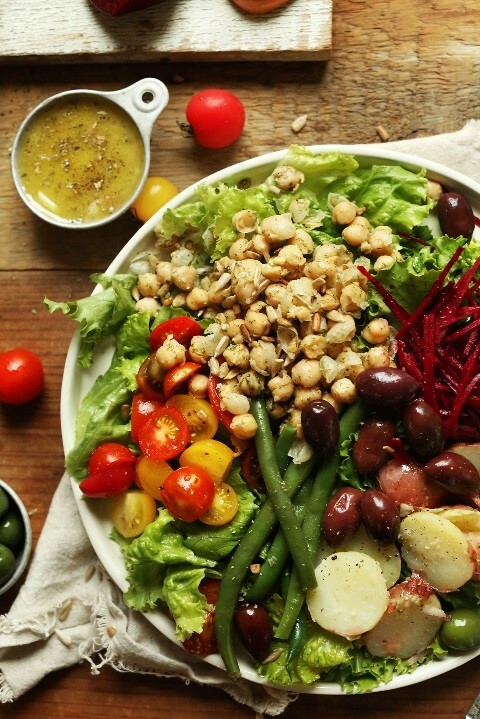 • Fill half your plate with vegetables – summertime is here; fill up on local vegetables and fruits. • Offer smaller portions for your sandwiches. 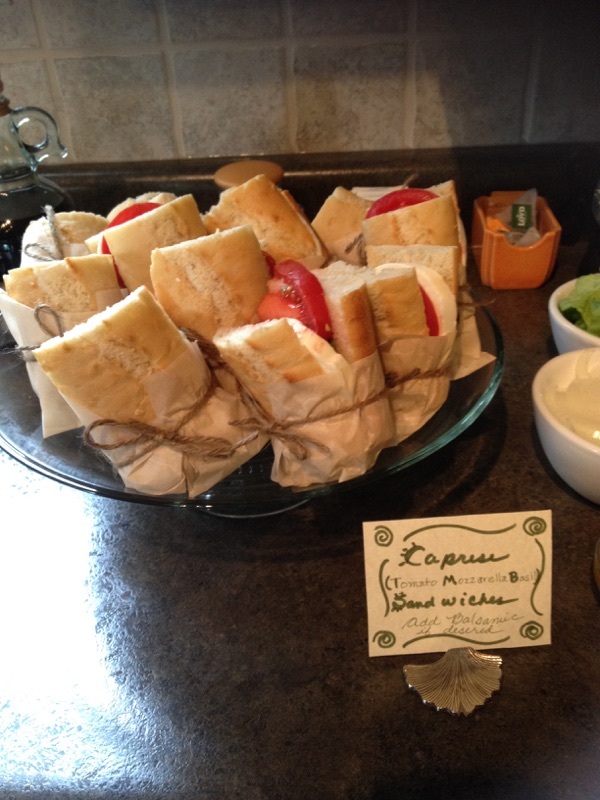 These Caprese sandwiches were offered at a bridal shower. Fresh tomatoes and mozzarella cheese with balsamic vinegar made these small sandwiches a hit. They were wrapped in parchment paper and tied with jute so that they were easy to pick up. 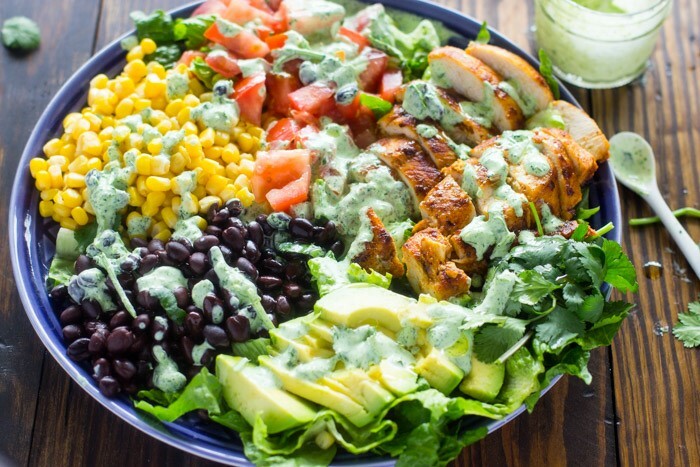 • Fill up on salads! Eat darker lettuce varieties or use a Spring Mix Salad. 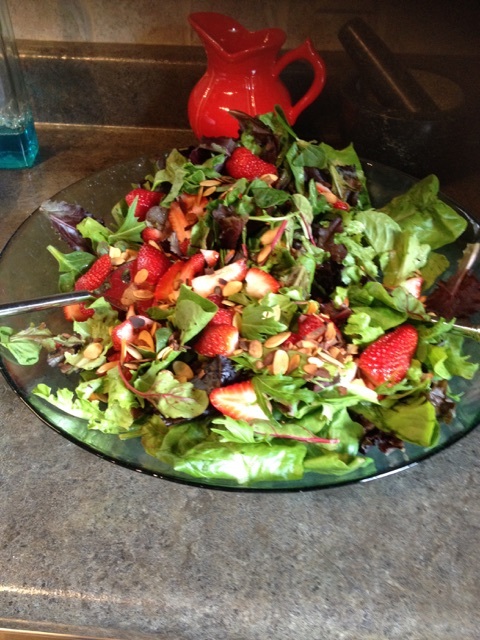 Add fresh strawberries or berries and nuts for a nice crunch. 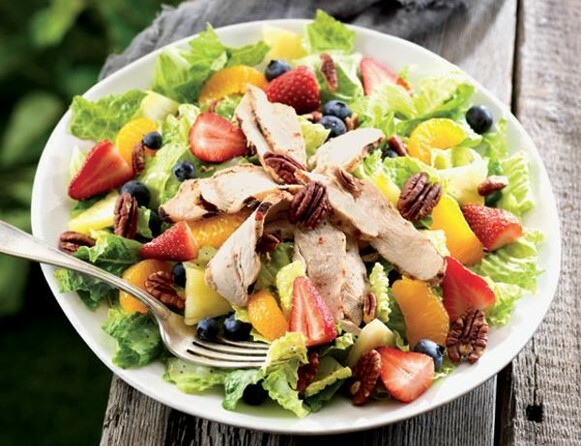 Encourage guests to “drizzle” a little dressing on the salad for added flavor. When you have a variety of flavors in a salad, you may use less dressing. • Enjoying dessert? Split your dessert or eat a smaller portion. Take your time to savor the taste of your treat. Want to learn more? Take the Portion Distortion Quiz from US Department of Health and Human Services, National Heart, Lung and Blood Institute. You will see pictures of food and how portion sizes have expanded over the past 20 years. Make a decision to eat more veggies and fruits and watch your portion sizes! 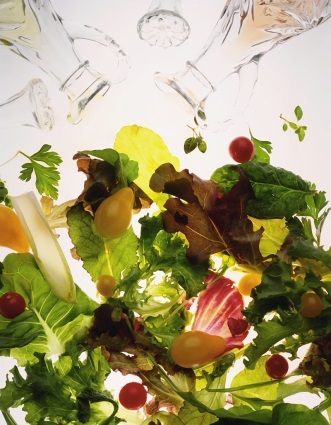 Was your New Year’s Resolution to eat healthier in the New Year? If so, you are not alone. Many people set improved nutrition and increased physical activity as goals. One way to improve nutrition is to eat more fruits and vegetables. Adding more salads to your meals or making a meal out of a salad is a way to increase your consumption of fruits and vegetables. But, are all salads healthy? It really depends on how you build it – it could be 100 calories or it could be 1000 calories. Choose wisely! Meats – limit to 2 oz. Reduced or low-fat cheese – limit to 1 oz. Source: Build a Better Salad Bar, Child Nutrition and Wellness, Kansas State Department of Education, July 2012.